Happy Friday!! Who is ready for the weekend?!?! It’s been a pretty busy week, so I am definitely ready. Our forecast is a full weekend of rain, so I’m planning to chill indoors, watch Netflix, and catch up on a few blog and home tasks. 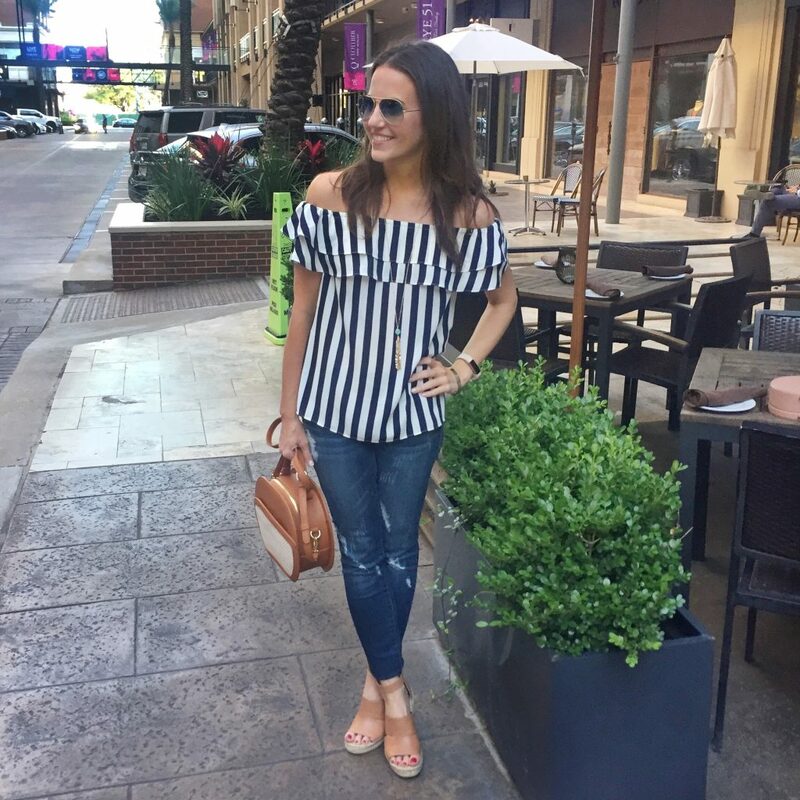 Since the official start of Summer is almost here, I wanted to share a few summer outfit ideas from things I have worn recently. All of these outfits were originally posted to Instagram. 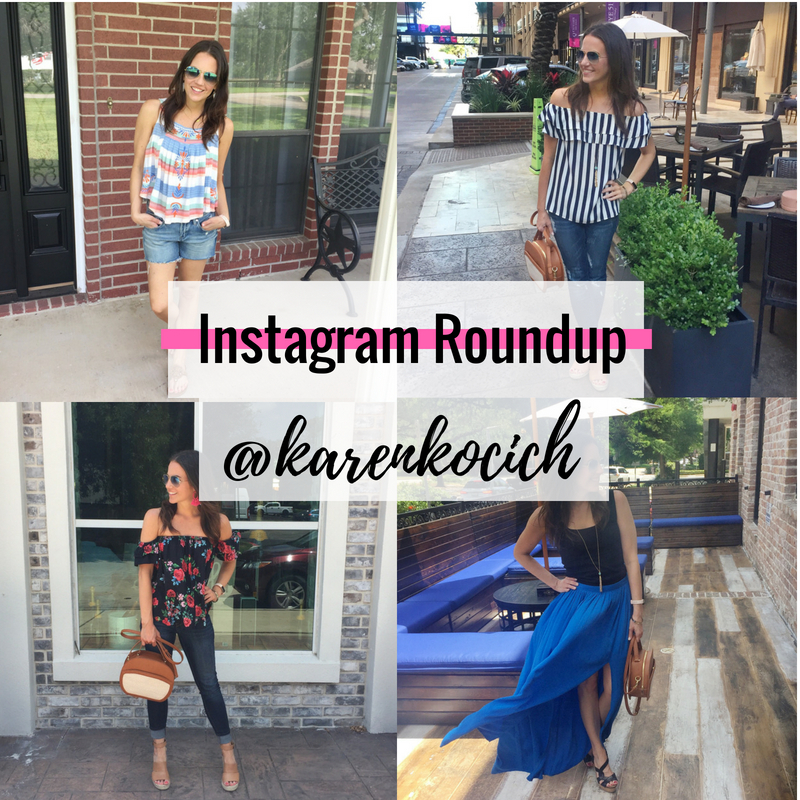 So if you want to see more outfit of the day inspiration, be sure to follow me over there at @karenkocich. The last pic is from Instastories. 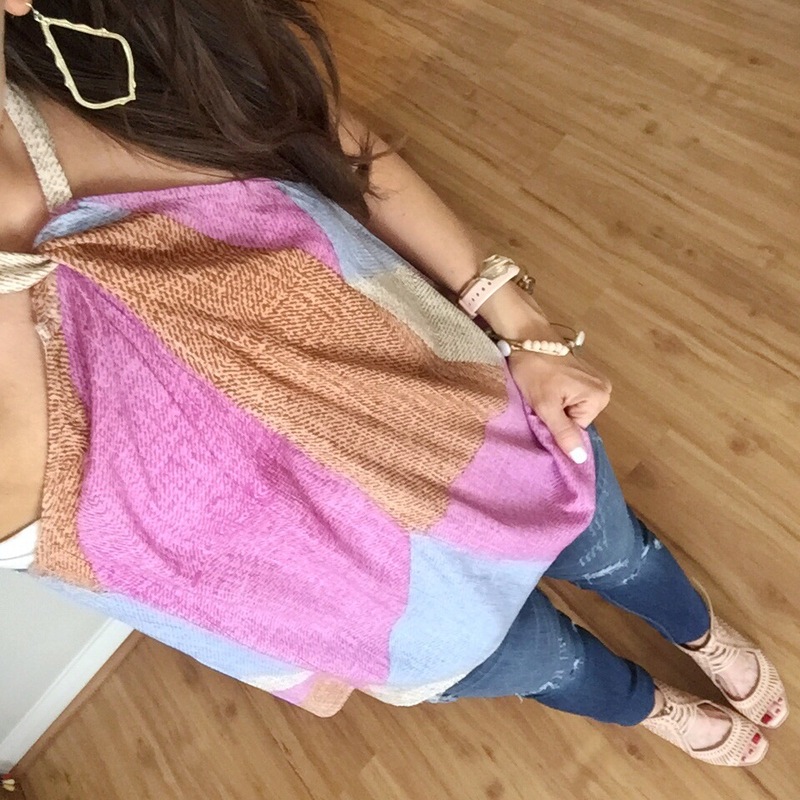 I have been playing with posting a few #ootd snaps in there too. Mostly for those days when I don’t have someone to snap a pic for me. Also for those of you that used to use the LiketoKnow.it service to shop your favorite Instagram posts, you may have noticed a few months ago the email portion of the service stopped working. This was due to changes Facebook and Instagram made to 3rd Party Apps. I was bummed because I loved the ease of liking photos and going through the email every night. 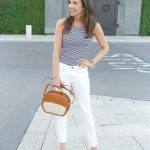 If you still want to be able to receive outfit details from my Instagram posts, you still can just using a few different methods. One – Head to my Shop Instagram page. I have a direct link in my Instagram bio and you can find it here at the top of the page under SHOP, the click Shop Instagram. Click on the picture you are interested in, and all the pieces of my outfit will pop up. You can also find info from things posted to Instastories here too. The second option is to use the LiketoKnow.it app. 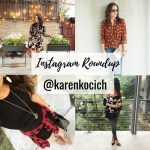 You can find me under my Instagram handle KARENKOCICH. If you screenshot photos, they will load the info in the app for you. Personally, I rarely use this part of the service. I usually save the photos in IG that I want info on and then search for them in the app later. In the app, I also follow a few of my favorite bloggers too. I love this feature because they have no algorithm so I see all the posts in real time. One of their newest features is to wish list your items, so you can come back to them later. I have been using that feature quite a bit lately. I hope you all have a wonderful weekend, and drop your Instagram handle in the comments. 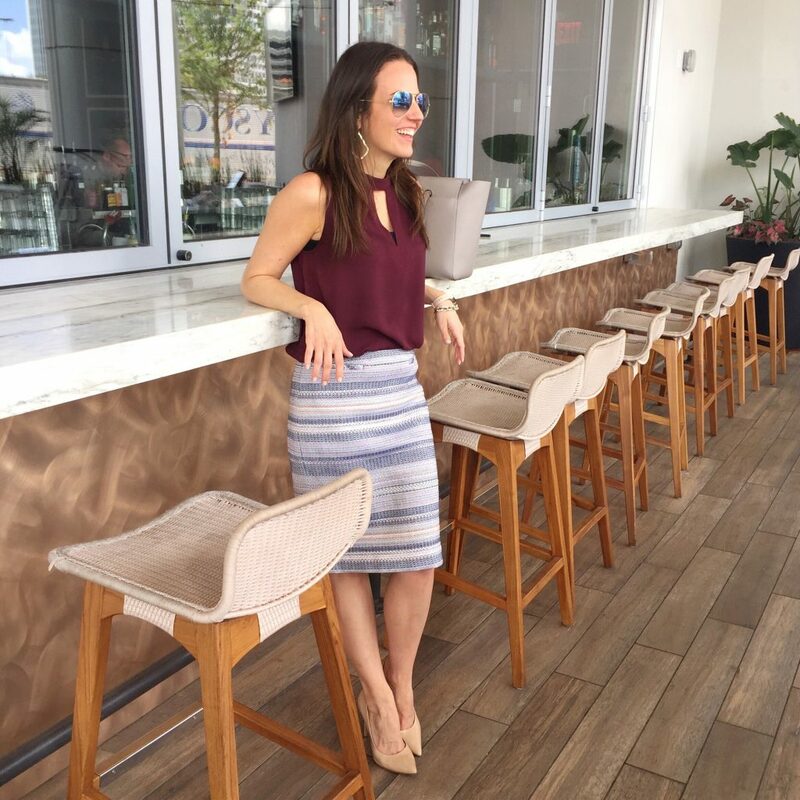 I always love finding new fashion inspiration to follow! 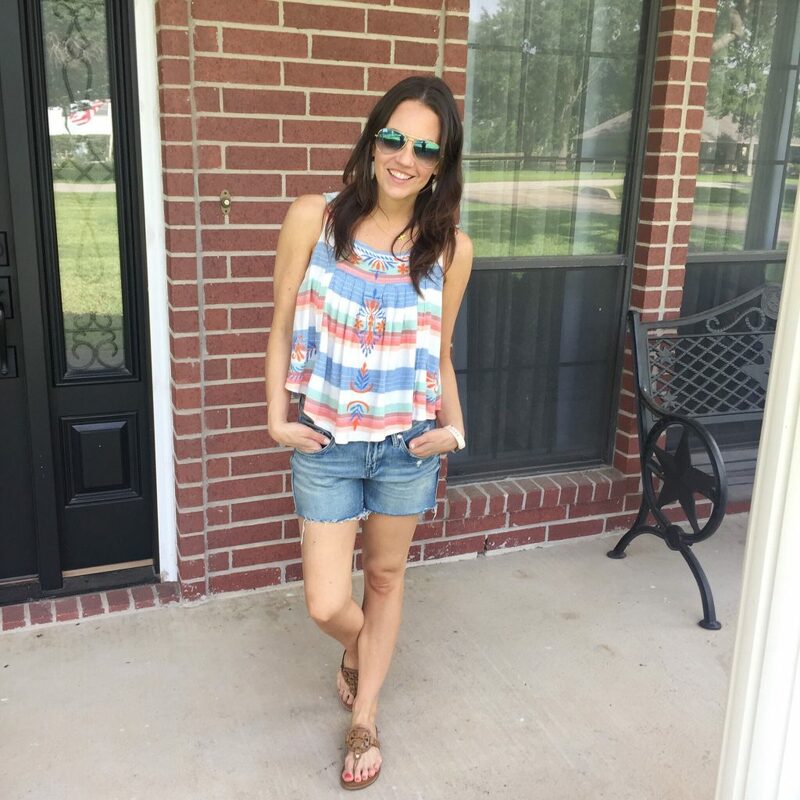 Thanks for checking out my summer outfit ideas! 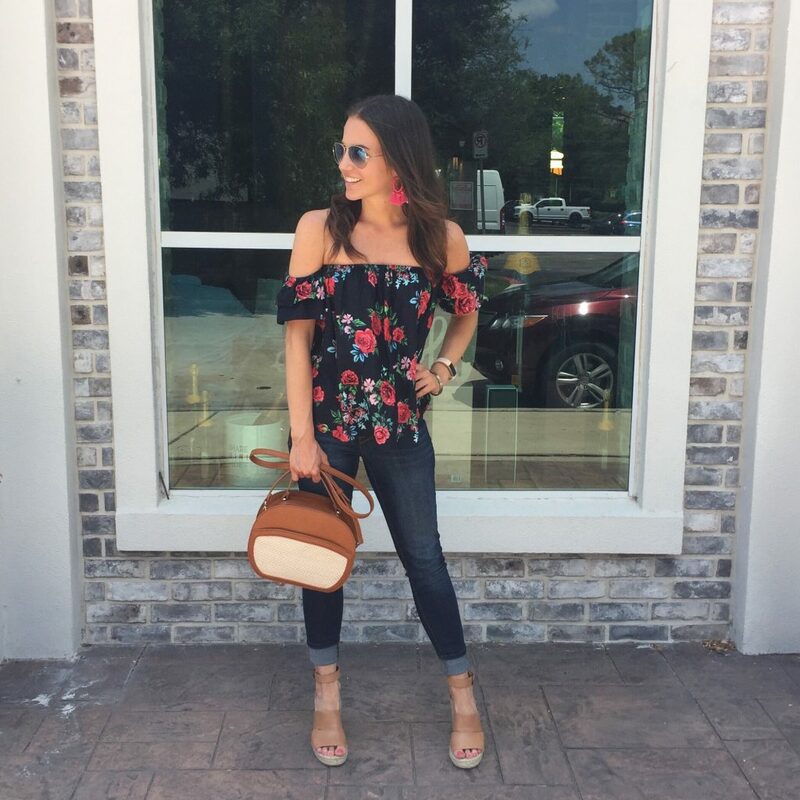 Awesome fashionable recap. New to your site. I am impressed. 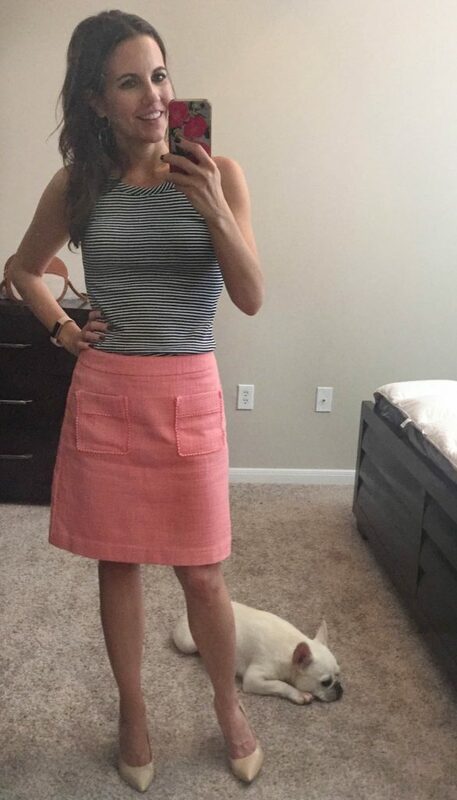 Best of the best to me here is the peach skirt with the block heel sandals. Puppy looks like its tired. Summer style is right up my alley. Winter style just has to keep me warm enough. All of these looks are so pretty! 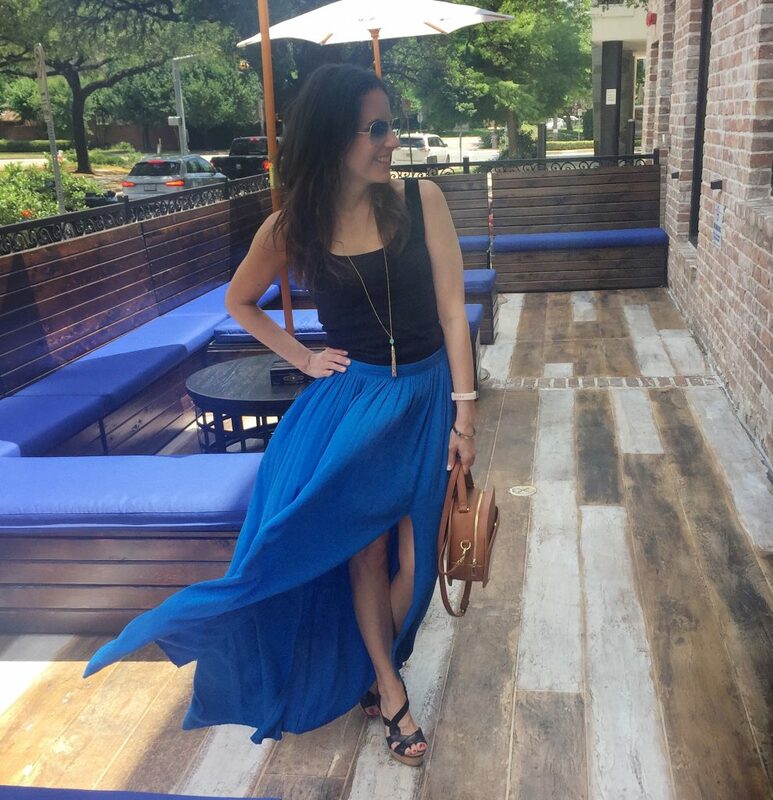 I am in love with your royal blue maxi skirt! Love your style! The 1822 denim, distressed, tts or go up a size? I have two pairs and both fit me true to size.